Giant trevally, locally known as ulua, are the prize of Hawai'i's shorecasters. Many exceptional fish have been caught-some in the 150-lb range. 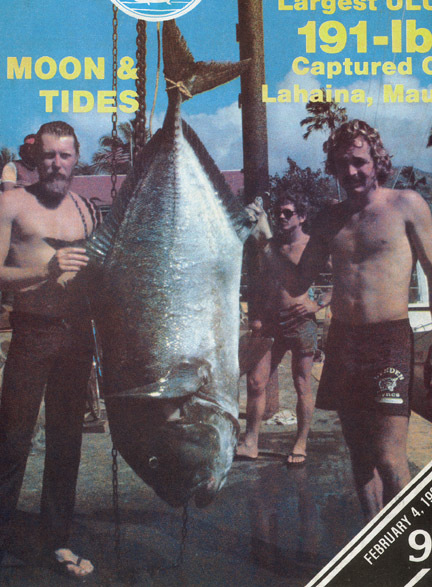 The giant of them all, a 191-lb monster, was speared by Al Gadow from Lahaina, Maui on January 14, 1980. On the same dive, Al reported seeing a larger ulua that escaped.